his third edition of what has become a modern classic presents a lively overview of Materials Science which is ideal for students of Structural Engineering. 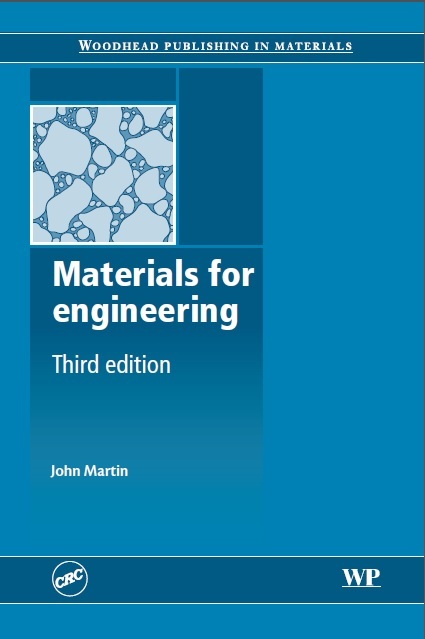 It contains chapters on the structure of engineering materials, the determination of mechanical properties, metals and alloys, glasses and ceramics, organic polymeric materials and composite materials. It contains a section with thought-provoking questions as well as a series of useful appendices. Tabulated data in the body of the text, and the appendices, have been selected to increase the value of Materials for engineering as a permanent source of reference to readers throughout their professional lives. The second edition was awarded Choice’s Outstanding Academic Title award in 2003. This third edition includes new information on emerging topics and updated reading lists. "John Martin" is Emeritus Reader in Physical Metallurgy at the University of Oxford and a recipient of the Platinum Medal of the Institute of Materials, Minerals and Mining.